Indren Naidoo has been named chief executive of Manulife Indonesia, the Jakarta-based arm of Toronto’s Manulife Financial Group, which has been growing its already-extensive Asian operations in recent months. Naidoo, who has been regional CEO for Manulife’s Thailand, Vietnam and Cambodia operation since 2013, succeeds Chris Bendl, who had been CEO and “president director” of Manulife Indonesia since October 2012, and who has left the company. It wasn’t immediately known who is to take over Naidoo’s role as head of the Thailand, Vietnam and Cambodia business. In his new role, Naidoo, an Australian citizen, will oversee and grow the Manulife’s Indonesian presence, the company said in a statement on Friday. 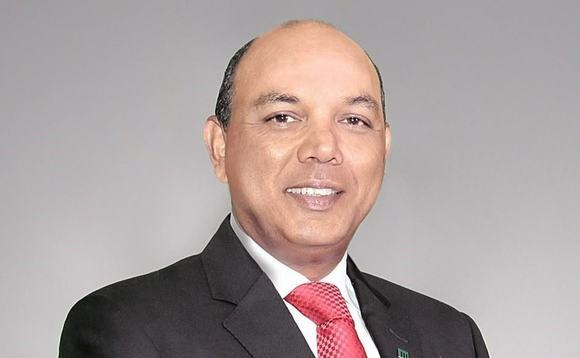 He was described by Manulife Asia president and CEO Roy Gori as having a “deep understanding of Manulife’s business in Asia”, which he said would be well-suited to “growing our operations in Indonesia, a key market for Manulife in the region”. Manulife’s interest in Indonesia, the world’s fourth most populous country, is understandable, according to Naidoo, because of its rapidly-growing middle class and low insurance penetration rate. During his time as head of the Manulife’s Thai, Vietnamese and Cambodian operations, Naidoo helped to secure a long-term exclusive bancassurance deal with Saigon Commercial Bank in Vietnam in 2015, as well as to establish “multiple” bank partnerships in Cambodia, which market Manulife entered in 2012, and oversaw the setting up of a representative office in Myanmar in 2014, Manulife said. Also during his tenure, the number of Manulife agents operating in Vietnam grew to more than 20,000, “a record number for the country”, Manulife noted. Before joining Manulife in 2009, Naidoo worked as a chief financial officer for various other “major” multinational life insurance companies in Asia, according to Manulife, and before this spent more than 12 years with ANZ Banking Group in Australia. Manulife has had a presence in Indonesia since 1985, making it one of the earliest entrants into the market, and as a company, has had a long history of being active in Asia, particularly Hong Kong. Manulife Indonesia currently looks after more than 2.2 million clients in Indonesia, with a network of more than 10,000 employees and agents working out of 25 Indonesian cities. It is registered and regulated by Indonesia’s Otoritas Jasa Keuangan. Manulife Financial, which does business in the US as John Hancock, currently has some 34,000 employees, 63,000 agents, and looks after client assets under management and administration of around C$904bn (US$697bn).